Duke Special seemed positive about the venue while he was on-stage, though hinting towards it being somewhat different, partly due to its size, mainly because of football stadium a stones throw or kick of a ball away. This was my first visit to the Catrin Finch Centre, situated within Wrexham’s Glyndŵr University campus, a small and intimate venue, yet something the singer from Northern Ireland is akin to, playing his nights away in the bars and pubs dotted around that portion of the emerald isles. 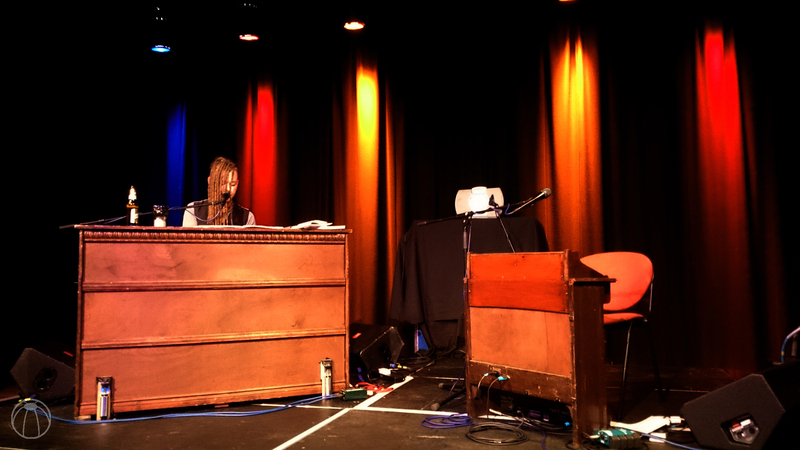 This is arguably the only way to watch Duke Special, a performer of effortless ability who can captivate a room, no matter what its capacity. A similar compliment can be paid to Paul Cook and the Chronicles, Duke’s support for this leg of his tour. A singer songwriter with a voice that’s easy on the ear and which settled us into our seats nicely for the evening to come. Yet when Duke Special made his appearance on stage and thumped out Elephant Graveyard, the first single taken from the upcoming album Look Out Machines! the chairs felt redundant as the power in the song and in Duke’s voice made it feel only natural to get up and dance. Covering ragtime, soul, folk and charleston-esque music at times, Duke’s piano based melodies can fall into this more powerful style of play with ease and naturalness. The evening was perfectly balanced between these and his more calming compositions as songs from the new album and his ever-stretching back catalogue were played out. Not content however with the selections of songs from his musical past and present, Duke played a number of tracks from his idolised writers and bands, including The Magnetic Fields and Ivor Cutler, the latter of which provided a few laughs with Duke’s brilliant rendition of Turtle Soup and Cutler’s other musings. With so many releases under his belt and the intimacy of the venue, requests were coming in at intervals through the evening though I was quite content with a handful of renditions from Under the Dark Cloth, an album based on the photographs of Paul Strand, Alfred Stieglitz and Edward Steichen, after a request from the department of photography at the Metropolitan Museum of Art in New York. Duke explained each photograph the song was based on and the creativity behind the lyrics we were about to hear. This was a structure played out with many of his other songs through the evening, the meaning behind the track and his journey to writing it. Each introduction provided a brilliant insight into Duke Special as a musician as well as a person, and gave some great imagery and information that will flashback when the new album is finally out and being heard. From the live performance of some of the tracks taken from this new release, they sound adventurous, perhaps the most sonically adventurous yet. Son Of The Left Hand instantly sticks in the mind, a synth-like power that makes you question the true source of the music, but without surprise, Duke pulls it off. Released the 5th of April, Look Out Machines! looks set to be a continuation of Duke showcasing his special abilities and with a little over a couple of weeks away from it’s release, there’s never been a better time to wade your way through the previous umpteen records bearing his name. 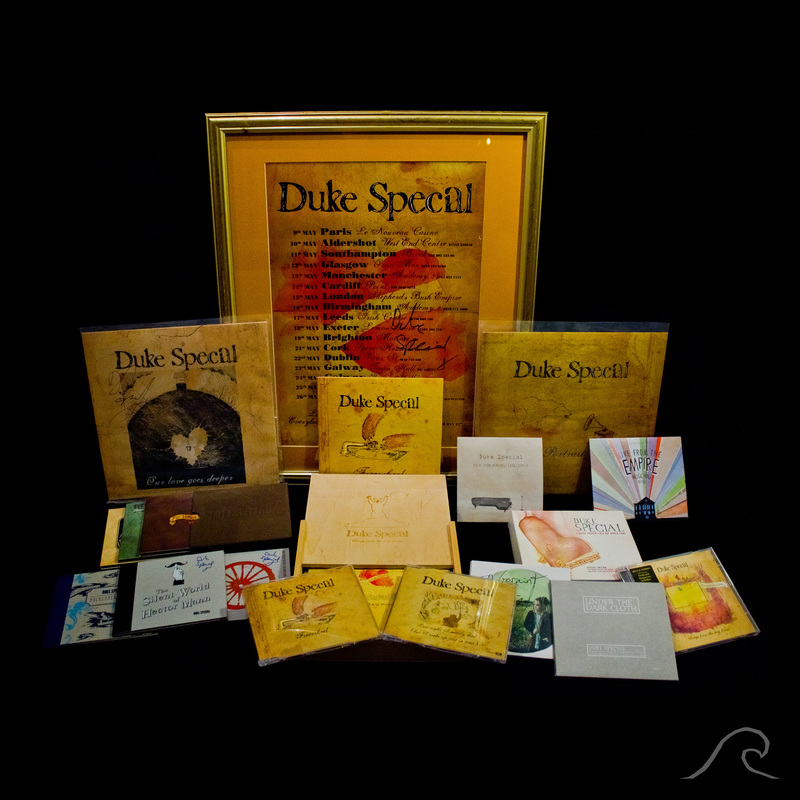 Seafront’s collection of Duke Special releases, enough to sink your teeth into. Duke Special will be on tour in the UK throughout the rest of March and April. You can check his tour dates by visiting his website here.